It's no secret that I love the mountains. 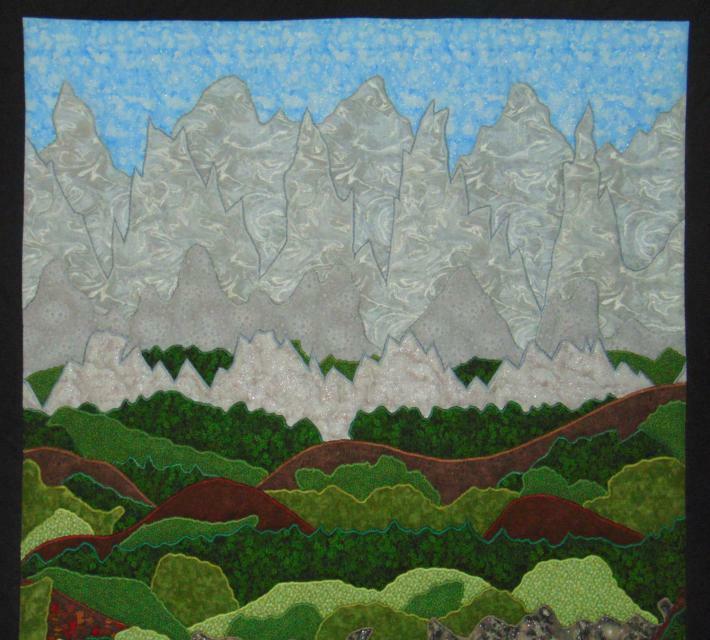 It doesn't matter if it's the Sierra Nevada or the Rockies; they're heaven to me, and serves as the inspiration for this quilt. 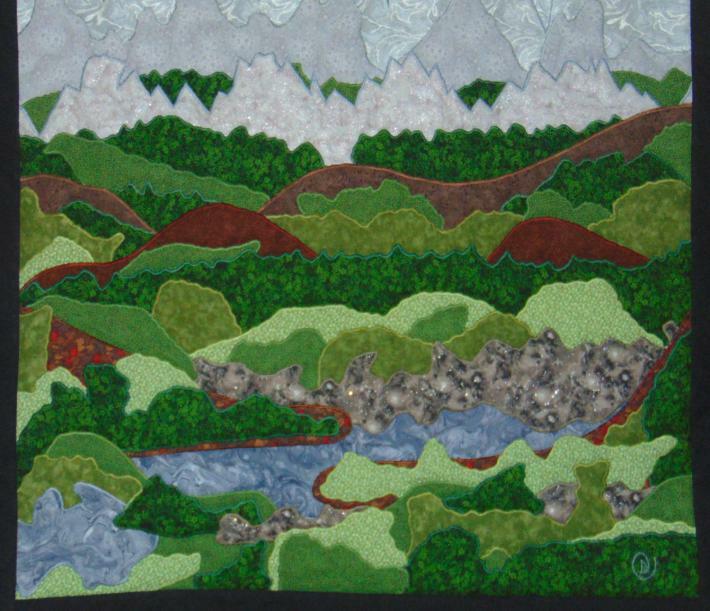 With its towering peaks, rolling hills, trees, bushes and water, this quilt has it all. 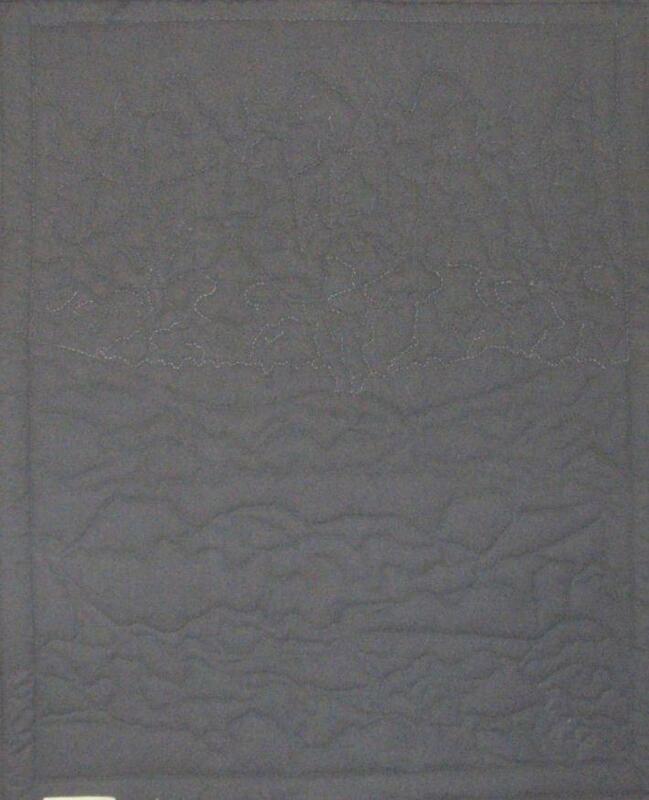 Primarily greens, browns and white/silvers, this quilt will fit nicely with most any decor. 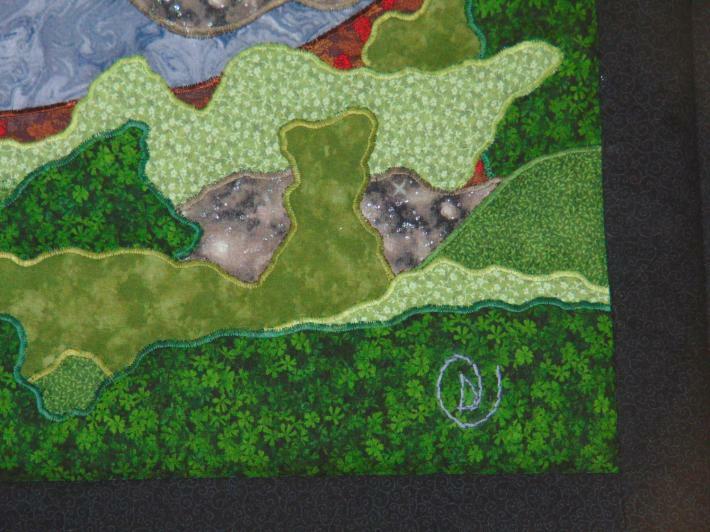 Overall, the quilt measures 37 inches wide by 46 inches tall. It does have a sleeve for hanging, but it is a good size to be a lap quilt if that's your preference. 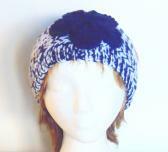 All of the fabrics used are cottons or cotton blends. All of the fabrics have been machine washed and dried which means this finished piece can be machine washed and dried, too. I would do so using cool/delicate settings. The quilt is on traditional loft batting to give it nice loft and dimension. This quilt is my original design. 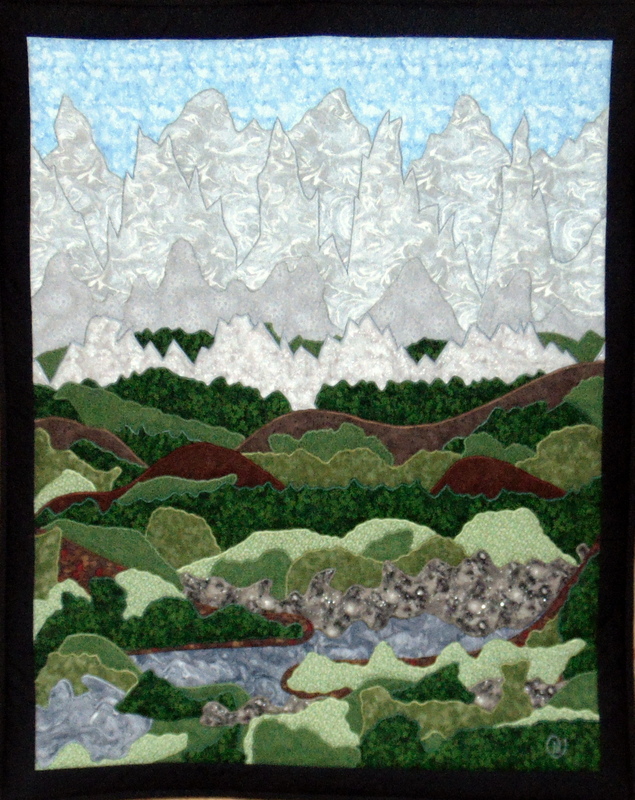 It was assembled, hand quilted and bound entirely by me. It is signed, dated and tagged.